A Japanese YouTuber has created a self-solving Rubik's Cube which can solve itself in around 30 seconds without any human intervention. A Japanese YouTuber created self-solving Rubik’s Cube that needs no human intervention, though it doesn’t set any speed records. Rubik’s Cube celebrated its 40th birthday, complete with a Google Doodle, in 2014. As one of the longest-lasting toys in popular culture, it has enjoyed the status of the best-selling toy since it was launched in 1980. All the more impressive since it wasn’t meant to be a toy at all. When Hungarian architect and sculptor Erno Rubik designed the Rubik’s Cube in 1974, he was looking to build a teaching tool for 3D geometry. 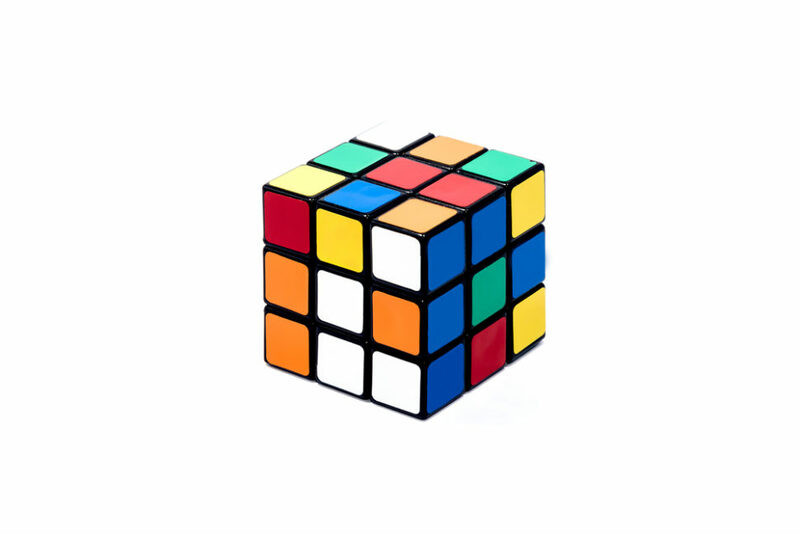 As a toy, it’s less about how to solve the Rubik’s Cube and more about how fast the colored squares are arranged, and that needs some training. But one Japanese YouTuber, who calls himself Human Controller, has succeeded in a small technical feat by inventing a robotic 3x3x3 self-solving Rubik’s Cube. This isn’t his first attempt at creating a self-solving Rubik’s Cube, however. Last year, Human Controller released a video featuring a bigger version. It took this robotic Rubik’s Cube 66 seconds to solve the puzzle. Now, Human Controller is back with a miniaturized model with standard measures, and all the human assistance it needs is the hands of its creators preventing it from falling on the ground and breaking to pieces. The new model is different from the older, which had to be held still to solve itself. This smaller version moves around the table as it aligns the six colored sides. The current model is not just smaller but also faster than the old one, taking about the half the time with 32 seconds. On September 17, Human Controller released a video showing this new version solving itself while moving across a table. Or you can hold this Rubik’s Cube with your fingers and let it do the job. Needless to say, years went into the development and making of this self-solving Rubik’s Cube, with the most challenging aspect being the miniaturization of the robotic mechanism, the servo motors, and all the wiring and electronics. Human Controller released other videos and photos showing the making-of process. At 32 seconds, this Rubik’s Cube takes way longer than the best human solvers. The current record holder, Feliks Zemdegs, did it in only 4.22 seconds. But for the record time overall, we have to look for robotic solvers, like this one that solves the Rubik’s Cube in just 0.38 seconds, faster than you can say the word “solve”, and you can’t really see it happening. This may seem like just a gimmick or interesting toy for robotics fans out there, but these developments show exactly how advanced some devices are becoming at problem-solving and pattern recognition development. Although the self-solving Rubik’s Cube is not for sale at the moment, it won’t be long before these are commercially available for you to get for your own coffee table. What’s your personal Rubik’s Cube record?